Thanksgiving Meals which are distributed to pantry clients. The Angel Tree program, where members of the parish provides gifts to children whose families come to the pantry at Christmas. Members of St. Peter’s are also dedicated to social justice issues. Several members have engaged in the diocesan two-and-a half-day anti-racism training, and joined the Team to spread this gospel message throughout the diocese. 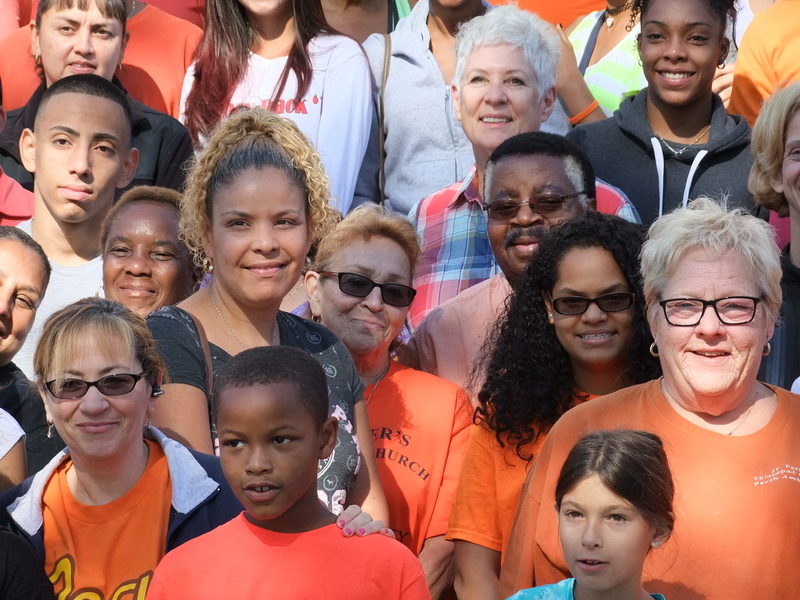 Members also partner with the Boyd House, a home for women in recovery, and the day shelter for the homeless run by God’s Armies ministries in Perth Amboy. 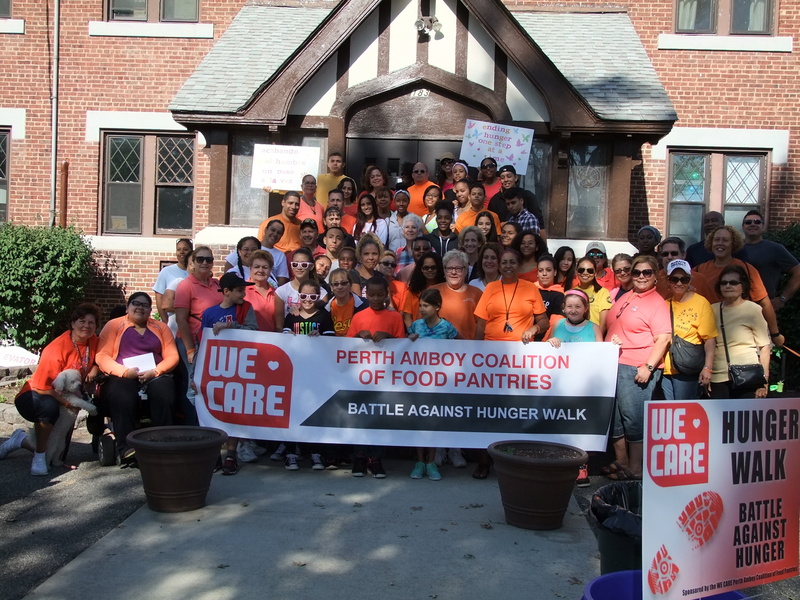 On September 17th, the WECARE Perth Amboy Coalition of Food Pantries, under the leadership of Deacon Kathleen DeJohn, Maureen Erickson and Betty Crews, the Food Pantry coordinators organized the WECARE WALK and joined with the Battle Against Hunger for their 3rd year. 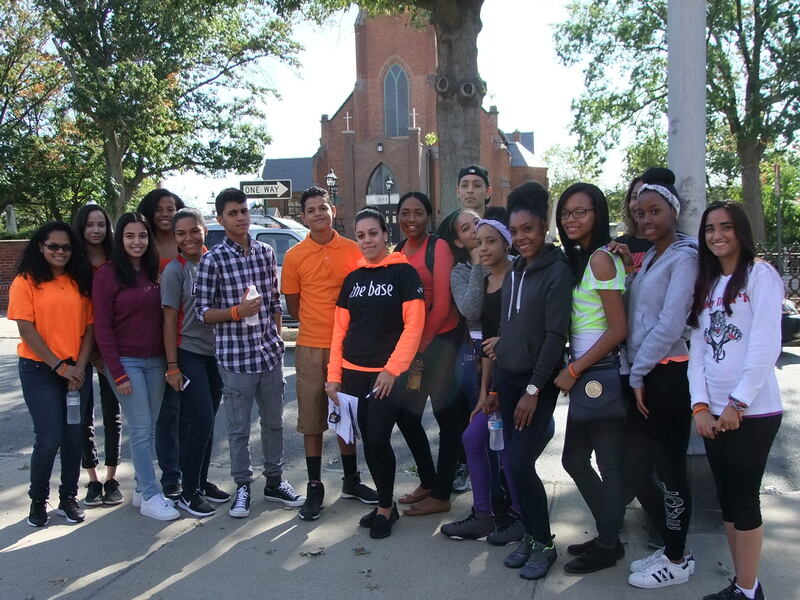 The “WALK” is to raise funds, raise awareness and build relationships to help fight the hunger crises and its causes in Perth Amboy. This year, 100 individuals participated and over the three years, this walk has raised approximately $10,000 to alleviate the hunger crisis in their community. A special thanks to The Rev. Dr. Anne-Marie Jeffery for her support of these efforts. 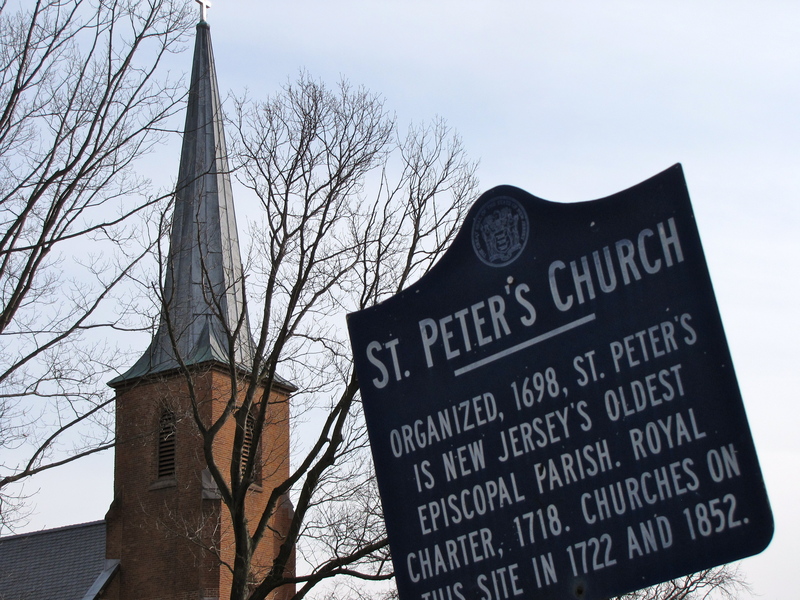 We applaud the work of St. Peter’s Church in Perth Amboy and all our Jubilee Centers; look for a different featured Center in December! Need Help to Do Your Own Thing in Your Own Area on Your Own Day? Go FOR IT! Contact Canon Clara Gregory, Diocesan Jubilee Officer, with your dreams and ideas. St. Peter’s does it with their WECARE WALK. Why not you? 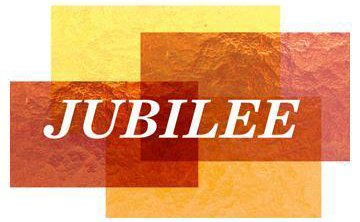 For more on our Jubilee Centers, click here. For information on becoming a Jubilee Center, please contact Canon Clara Gregory, Diocesan Jubilee Officer.